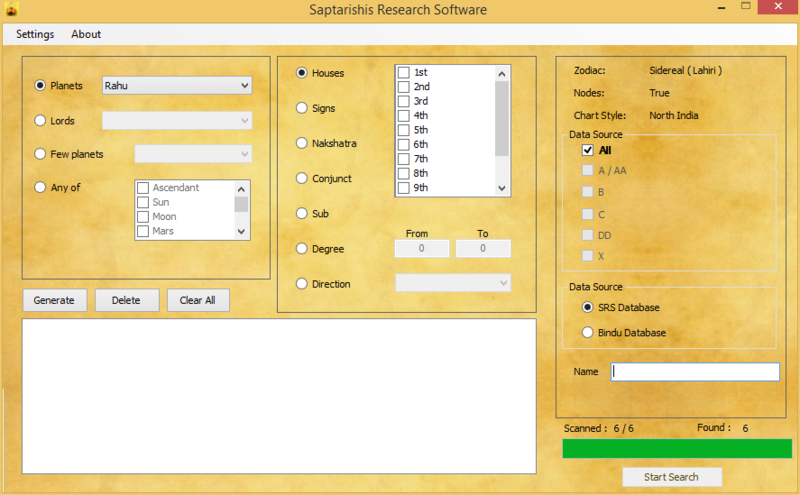 Saptarishis Research Software (SRS) constitutes near 30k charts, a database which is searchable in terms of combinations in various forms. SRS is completely free software for the Jyotish industry and also for western astrology professionals. SRS is now supported by Bindu Astrology Software. You can search your Personal database saved in Bindu as well as SRS database.